The basic syntax for print function is “print ‘statements’. 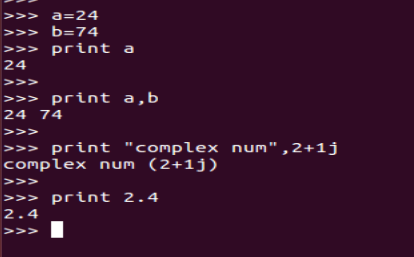 print syntax is used to print the every statement in new line. raw_input() function takes argument as string and then it will return string on prompt. By default it will return string. So, if you want store data in variable, then it will store as a string. Below is the syntax to read the numbers.